Hooked on Needles: Crochet Crazy! The Bernat Mystery Afghan Crochet-Along has been lots of fun so far, and not too overwhelming! The hardest part is waiting for Wednesday for the next clue! Patience is not my greatest virtue! 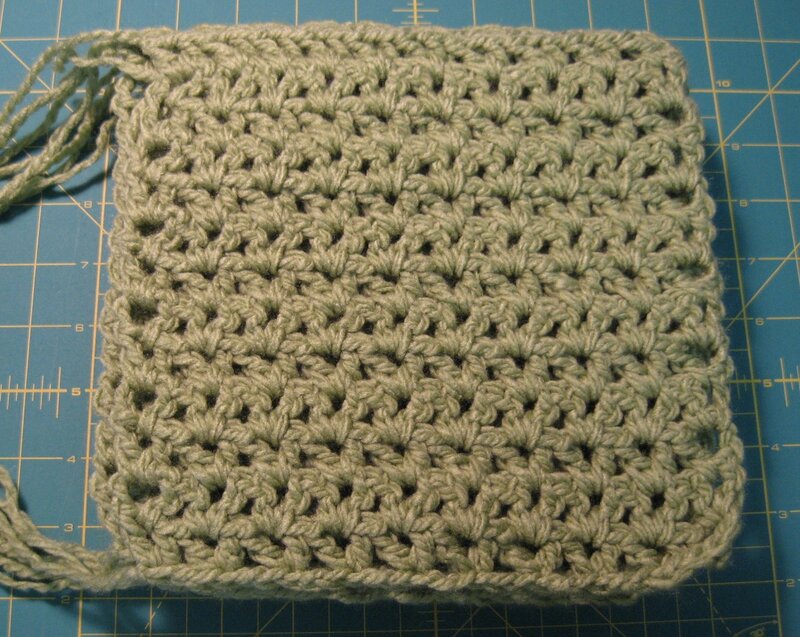 These were crocheted using the Fern color which I just love! It's so cozy and soft, just a lovely shade of green. 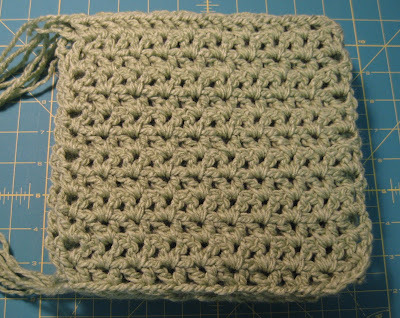 The stitch used is a V stitch and very easy to do...basically two double crochets in one stitch with a chain in between. Doesn't it make a pretty block? Clue #4 was posted yesterday and it is the first multi-colored block. 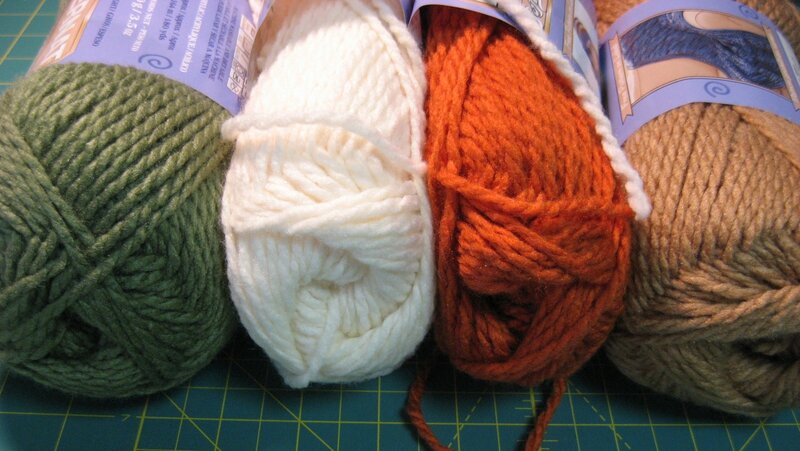 From the colors I chose, I'll be using Forest, Natural, Pumpkin and Topaz in this block. I will be making 4 of them this week, and then waiting on pins and needles for Clue #5 to be posted next Wednesday! I'll stay busy though! Don't you worry about that! This new pattern I'm developing is coming out pretty nicely and I can't wait to share it with you. It's not for the fall season like my Awesome Fall Table Runner pattern. This one is for another season, and I'll just give you one hint. I'm using the fabric called Adoring by Sandy Gervais for Moda. It's gorgeous! You have only until tomorrow to enter my Fall giveaway. Click HERE and follow the rules for your chance to win one of two great fall prizes! I almost feel like I'm making the mystery along with you. Looking forward to seeing what comes next. You put me to shame - I have the patterns copied and that is as far as I have gotten. 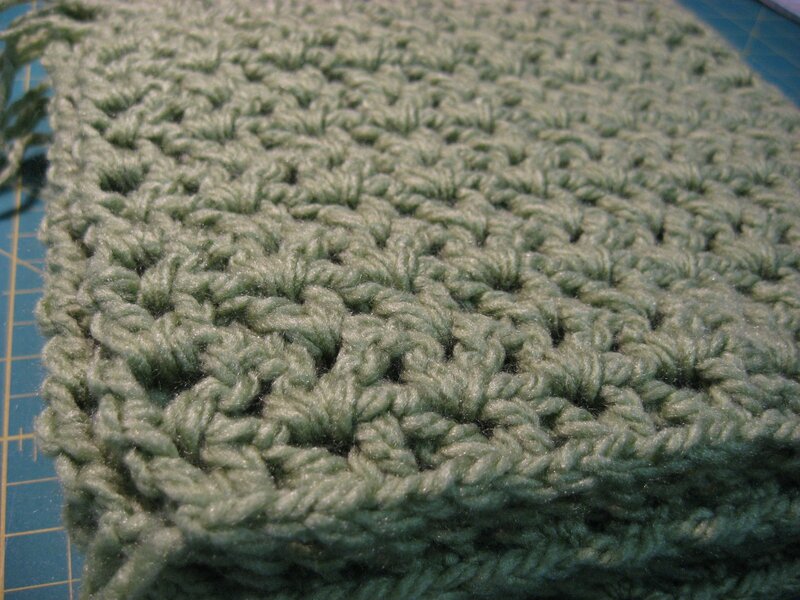 Love that green yarn.